Sen. Brian Schatz: The student debt crisis threatens the American way of life. Washington can't keep ignoring it. Sen. Brian Schatz The student debt crisis threatens the American way of life. Washington can't keep ignoring it. We can't keep higher education in reach of all Americans if we don't do something to to tackle student loans. 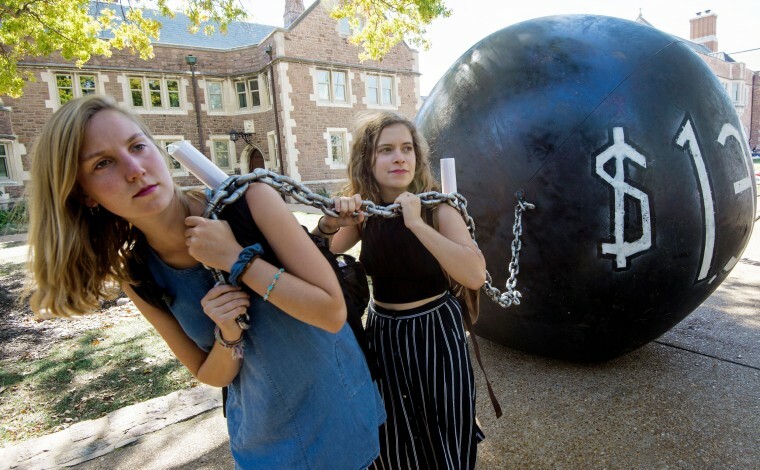 Students and their families have struggled to build their dreams on top of student debt. Since the start of the Great Recession, student loan debt in the United States has doubled, with every graduating class owing more for their college degree than the class before. More than 44 million people — or the population of 20 states combined — owe a total of $1.4 trillion (more than the nation’s credit card debt) for their college educations. This debt has stopped people from preparing for the future and pursuing their dreams; if tuition had stayed at 2001 levels, for instance, 360,000 more Americans would have been homeowners in 2015. But instead of buying a house or opening a small business, borrowers are forking over huge chunks of their paychecks to pay off increasingly higher loan debts. As with many social issues, the burden is especially heavy on minorities and women. Students of color take on much higher levels of debt than their white counterparts, and, on average, women also have more student loans and take longer to repay them; they hold two-thirds of all student debt in the country. All of this and more is why I introduced the Debt Free College Act last week. This bill gives incentives for states to commit to helping students pay for the full cost of college without taking on any debt by matching federal dollars with state dollars for public two- and four-year schools. It also provides new resources to cover the full costs of college for those with the most financial need. If this bill became law today, 32 states would immediately be able to provide debt-free college to all Pell Grant students in their states. Part of the problem with college affordability is directly related to the impacts of the 2008 recession: In response to a significant decrease in tax revenue, states had to cut funding to public education, even as college costs continued to rise. But while the economy recovered, state funding never did. State higher education appropriations remain 15 percent lower than they were before the recession, making student loans the new, seemingly permanent cornerstones of college affordability. From our economic growth to the American dream, the student debt crisis threatens too much for Congress to remain inactive. Now is the time for the United States to recommit to higher education by better funding public colleges and reducing the burden of debt. My bill is one of several ideas on how to tackle student debt, but it is unique in that it addresses the full cost of college — tuition, room and board, technology, childcare, and transportation. (Tuition accounts for just 45 percent of the total cost of attendance at a public four-year college.) The bill also takes the limited resources we have for public education and gives it to students who need it most. There is no question that new ideas are needed, especially as some Republicans are trying to make it harder for students to find relief. For instance, in response to laws in states like Washington, California, and Illinois that regulate student loan services, the Trump administration, led by Secretary of Education Betsy DeVos, declared that these companies are off limits to state policymakers. In other words, the federal government will now side with student loan servicers over students and states. The federal government, though, should not increase the burdens students already face that force them to default on their loans; Instead, we should work with states to end the debt crisis for good by restoring the path to affordable college that existed before the recession. When Lyndon B. Johnson signed the Higher Education Act into law in 1965, declaring that it would “swing open a new door for the young people of America” by making college more affordable, he also said that history would remember. With this bill, we have the chance to again make history, by keeping higher education within reach for everyone. 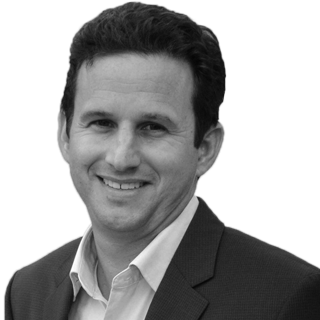 Brian Schatz is the senior United States Senator from Hawaii. He serves as chief deputy whip for the Senate Democrats and sits on the Appropriations Committee; the Commerce, Science, and Transportation Committee; the Banking, Housing, and Urban Affairs Committee; the Indian Affairs Committee; and the Select Committee on Ethics.